John and I are doing extensive renovations on our home and are planning to build a deck. I miss having a deck. I loved barbecuing, laying in the sun and just sitting relaxing reading with a good book and a coffee. I look forward to the day that I can do that again! When we do get our deck, I want to buy some patio furniture and patio furniture covers. I already know what site I will be checking out- Empire Patio Covers! They manufacture and sell patio covers and have a great selection of patio covers of every kind I could imagine! Empire Patio Covers is offering a giveaway of $100 worth of patio covers of your choice! I like the Medium Round Combo Cover in Hunter Green. We could use two of them and one small one. I need two BBQ grill covers! That would be the first thing. We have a swing also. I like the Air Conditioner Cover. I like car seat pet covers. I like the Deluxe Sta-Put Bench Seat Cover. I’d like to have the air conditioner cover. i love the sofa covers! My favorite is the patio table and chairs cover. I love the air conditioner cover. The bbq grill covers just yesterday I was researching grill covers online to buy I am glad I ran across this site! I would like the 36″ Round Table Cover. I want a metro brown grill cover. I like the table and chairs combo covers. I like the Car Cargo Liners. I would love to get their Deluxe Sta-Put™ Hammock Seat Cover! 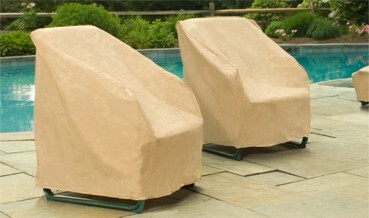 The Large Cart Style BBQ Grill Cover looks very nice!